In keeping with the growth of digital printing within the soft signage, decorative and garment markets, Caldera will showcase its updated textile production platform, TextilePro, at FESPA 2017. The Hamburg show will also see the manufacturer introduce a stage update to its core RIP suite, V11, with its popular VisualRIP+ and GrandRIP+ versions and its accessible, powerful workflow software, StreamLive. Caldera users can achieve maximum productivity across these solutions by using the new RIP rack servers, now commercially available, that the company exhibited at drupa 2016. 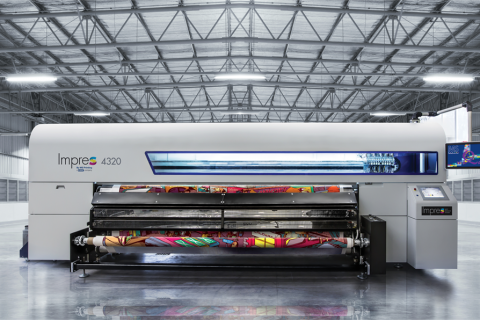 TextilePro reflects Caldera’s long history of partnerships within the world of digital printing onto fabric, providing intuitive workflow control for both decorative and industrial textile printing. Supporting all major textile printer manufacturers and with partnerships across the areas of media and finishing, Caldera is witnessing rapid adoption in this evolving market. TextilePro ensures that colors are repeated faithfully by providing an RGB workflow throughout pre-press and imposition, while patternation and media variances are handled effortlessly within the interface. Caldera V11 was released to celebrate the company’s 25th anniversary last year, and 2017 now sees the advent of V11.1. This update introduces the ability to define custom media sizes within the print interface without needing to configure new media in the server administration. For ultra-connected printers, such as the HP Latex range, this enables Caldera to recognise the media type and size when loaded on the engine. It also sees the introduction of exponential linearization targets in EasyMedia to improve color calibration and stability. Further improvements to popular modules include additional functionality in PrintBleed and enhanced savings in InkPerformer. At drupa 2016, Caldera demonstrated a new vision for RIP rack servers that it is now ready to launch at this year’s FESPA. The servers feature a flexible form factor that can be incorporated within any rack at a performance-to-price ratio that has never been accomplished before. Workflow solution StreamLive has also been one of the year’s success stories for Caldera, gaining steady ground and an increasing number of users. This accessible SaaS application allows users to create their ideal production process, track jobs in real time and automate their most time-consuming tasks. Caldera will be at FESPA in Hall B7, Booth C31. Visitors to the stand will be able to pick up the latest edition of the company’s magazine, GAMUT, now in its fifth edition. This informative annual publication will focus on textiles and digital printing this time around, with a range of articles, analysis and case studies in what has become an expanding marketplace for Caldera.